Most atoms that make up a solid are bound on all sides by other atoms in the bulk of the solid. The atoms on the surface of the solid, however, are incompletely bound. Due to van der Waals forces of interaction, these surface atoms are more reactive and they attract gas, vapour and liquids to satisfy the imbalance of atomic forces. Surface area helps to determine such things as how solids burn, dissolve, and react with other materials. To determine the surface area, solid samples are pretreated by applying some combination of heat, vacuum and/or flowing gas to remove adsorbed contaminants acquired from atmospheric exposure. The solid is then cooled, under vacuum, usually to cryogenic temperature. An adsorptive (typically nitrogen) is admitted to the solid in controlled increments. After each dose of adsorptive, the pressure is allowed to equilibrate and the quantity of gas adsorbed is calculated. The gas volume adsorbed at each pressure (at one constant temperature) defines an adsorption isotherm, from which the quantity of gas required to form a monolayer over the external surface of the solid and its pores is determined. With the area covered by each adsorbed gas molecule known, the surface area can be calculated. Although nitrogen is the most commonly used adsorptive, many samples, especially those with low surface areas, may require the use of other gases such as krypton or argon. Micromeritics offers multigas options that include high vacuum pumps and 10-mmHg and 1-mmHg transducers on most of their surface area analysers. These options make it possible to achieve and measure the low pressures required for low surface area determinations, micropore analysis and chemisorption. Surface area determinations involve creating the conditions required to adsorb an average monolayer of gas molecules onto a sample. By extending this process so that gas is allowed to condense in the pores, the sample’s fine pore structure can be evaluated. As pressure increases, the gas condenses first in the pores with the smallest dimensions. The pressure is increased until saturation is reached, at which time all pores are filled with liquid. The adsorptive gas pressure then is reduced incrementally, evaporating the condensed gas from the system. Evaluation of the adsorption and desorption branches of these isotherms and the hysteresis between them reveals information about the pore size, pore volume, pore area and pore shape. Micropore dimensions ranging from 3.5 to 20 Angstroms are important to researchers and to manufacturers using materials such as carbons, zeolites, silicas and aluminas in their processes. For analysis of pores in this range, the ability to reach and measure very low pressures is required. Factors such as temperature stability, vacuum capability and transducer sensitivity are crucial in micropore analysis and these factors are precisely what Micromeritics’ instrumentation provide. Micromeritics has pioneered instruments designed to collect data in the low pressure regions required to gain meaningful information about the microporosity of samples. Micromeritics’ physisorption and chemisorption analyzers deliver consistent and reliable surface area determinations, pore structure determinations and active metal dispersions for both quality control and R&D applications. The surface area determined by Micromeritics’ equipment includes that within cracks, crevices and other irregularities down to molecular dimensions. Porosity evaluations by gas adsorption establish the size of cracks and cavities (collectively called pores) and the volume they contain and their dimensions. Chemisorption analyses determine the active metal surface area and the percent dispersion of the active metal on catalyst materials. Micromeritics physisorption analysers offer a wide variety of data reduction methods for evaluation of collected surface area and pore structure data including, but not limited to those in Table 1. The Langmuir method provides a means for determining surface area based on a monolayer coverage of the solid surface by the adsorptive. The method of Brunauer, Emmet and Teller is employed to determine surface area on a model of adsorption which incorporates multilayer coverage. The method of Barrett, Joyner and Halenda is a procedure for calculating pore size distributions from experimental isotherms using the Kelvin model of pore filling. It applies only to the mesopore and small macropore size range. The t-Plot method most commonly used to determine the external surface area and micropore volume of microporous materials. It is based on standard isotherms and thickness curves which describe the statistical thickness of the film of adsorptive on a non-porous reference surface. The MP method is an extension of the t-plot method. It extracts micropore volume distribution information from the experimental isotherm. Dubinin plots (Dubinin-Radushkevich and the more general Dubinin-Astakhov) relate the characteristic energy of adsorptive to micropore structure. The Medek method uses Dubinin-Astakhov plots to determine micropore volume distributions by pore size. (Including cylindrical and spherical pore models) The method of Horvath and Kawazoe (H-K) provides a means by which the micropore volume disctibution by size is extracted from the experimental isotherm. The original H-K method is based on slit-shaped pores, however additions by Saito-Foley and Cheng-Yang extend the method to apply to cylindrical and spherical pores, respectively. This method determines the best fit (in a least squares sense) of a set of single-mode model isotherms to the experimental isotherm. The solution set represents the pore volume distribution by size for the solid on which the isotherm was developed. 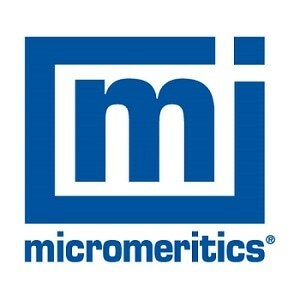 Micromeritics instruments give you the option of applying the best technique for your particular sample or applying several techniques and comparing the results. These reports are automated for simplicity but they also provide the flexibility to be easily customized to meet the most demanding research criteria. Chemisorption is used to determine the percent metal dispersion, active metal surface area, size of active particles and surface acidity of catalyst materials. Chemisorption is the interaction of an active gas and a solid surface, involving the sharing of electrons between the adsorptive molecule and the surface. It is generally assumed that a chemisorbed layer will not exceed a single molecule in thickness. The efficiency of a catalyst in promoting a chemical reaction is related directly to the density of active sites on its surface. Chemisorption experiments are valuable for many reasons including selecting catalysts for a particular purpose, qualifying catalyst vendors and testing catalyst performance over time to establish when the catalyst should be reactivated or replaced. For many materials, thermal energy is required to form or break chemical bonds. To collect information on how thermal energy affects a sample, Micromeritics offers temperature programmed desorption, reduction and oxidation as standard or optional capability on a number of chemisorption analysers. Temperature Programmed Desorption (TPD) analyses determine the number, type and strength of active sites available on the surface of a catalyst by measuring the amount of gas desorbed at various temperatures. If multiple active materials are present, the gas generally desorbs at different temperatures. Temperature Programmed Reduction (TPR) determines the number of reducible metal species present in the catalyst and the temperature at which reduction occurs. This is done by measuring the amount of analysis gas (usually hydrogen) that reacts with the catalyst at different temperatures. Temperature Programmed Oxidation (TPO) yields the extent to which a catalyst can reoxidize. The analysis typically uses diluted oxygen applied in pulses at user-defined temperatures. The oxidation reaction takes place at a specific temperature and is measured by the sample’s uptake of oxygen. Micromeritics analysers are controlled by extremely versatile, user-friendly software. Windows applications display in real time the internal, mechanical schematic of the instrument so you always know the current state of operation. Reports can be displayed or printed with a click of the mouse. Overlay options are available so that different samples or different data reduction techniques for the same sample can be directly compared. Applications include adhesives, alloys, abrasives, carbonates, carbons, catalysts, cements, ceramics, clays, cosmetics, detergents, explosives, ordnance, fibers, films, fertilizers, filters, glass, food additives, graphite, metal powders, minerals, paper, pharmaceuticals, pigments, polishing compounds, polymers, resins, soils and sediments.